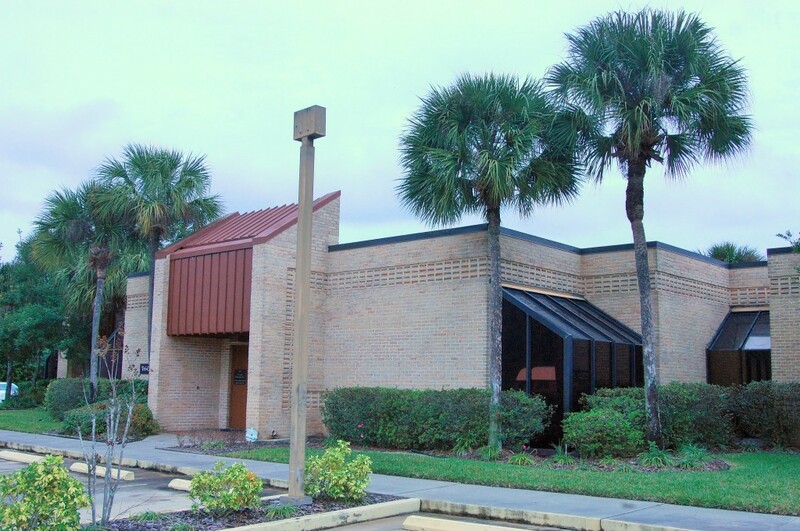 With its location across the street from the Central Florida Regional Hospital and a minute away from the Seminole County Civil Courthouse, this partially furnished office space is ready to move into and immediately begin serving patients and clients alike. Sanford’s recent move to upgrade its expansive presence on Lake Monroe, has created a climate of growth with new housing being built and the marina and River Walk being enhanced to attract newcomers to its charming, historic downtown. 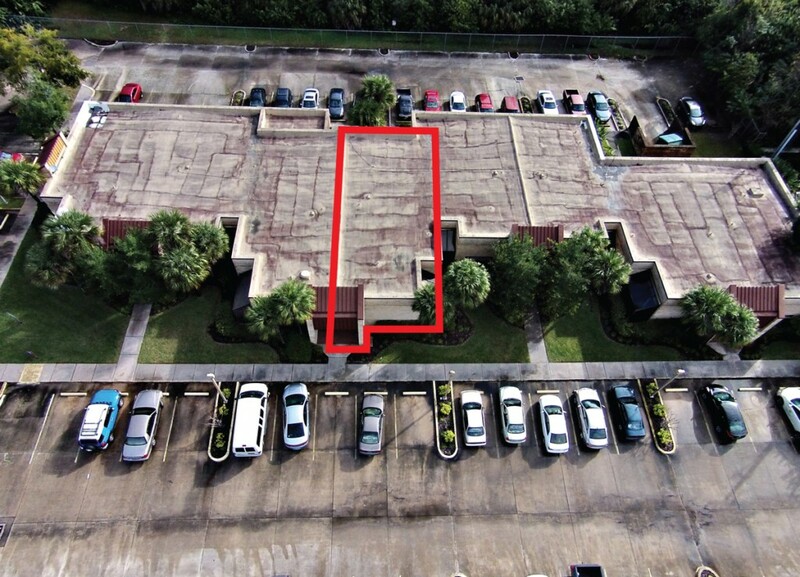 Take advantage of this growth and place your office conveniently near the people who will benefit from it. 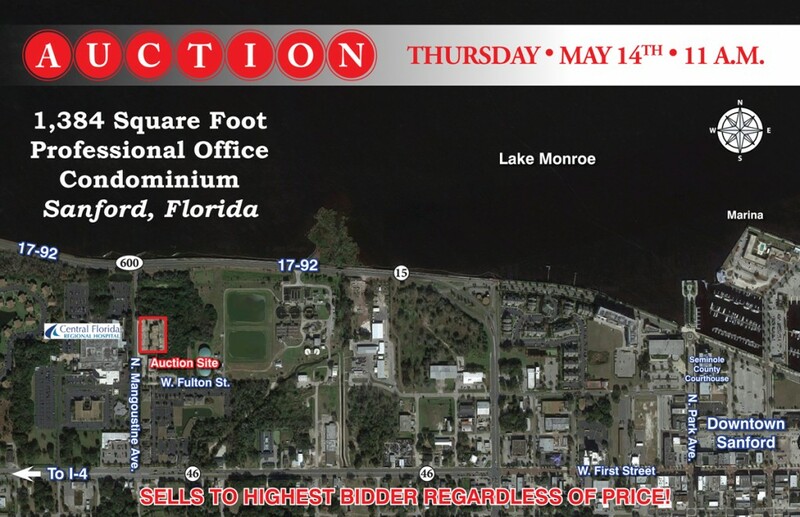 So mark your calendar to attend this auction and buy this prime professional office at your price! 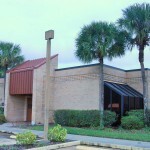 •	Professional offices of any kind! •	$5,000 cash or cashier’s check must be displayed to bid. 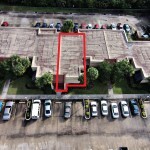 •	Additional 10% deposit collected within 15 days of auction. •	Inspection by appointment, call Alan Frenkel, Auctioneer.